The Central Bank of Kenya staff successfully hiked Mount Kilimanjaro on June 4-11, 2017, to raise funds in support of St. Kizito’s School for the Deaf, Litein. 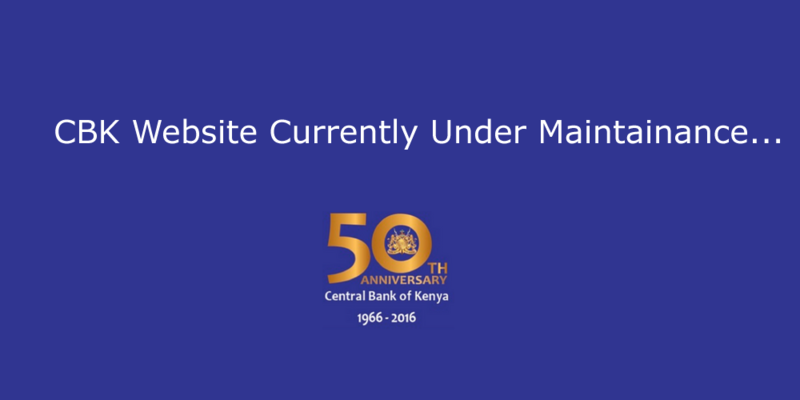 The Central Bank of Kenya (CBK) celebrated its 50 years of existence and service to the nation of Kenya in September 2016. These celebrations entailed the CBK’s involvement in a number of activities. The next meeting of the Monetary Policy Committee (MPC) will be held on Monday, May 27, 2019.